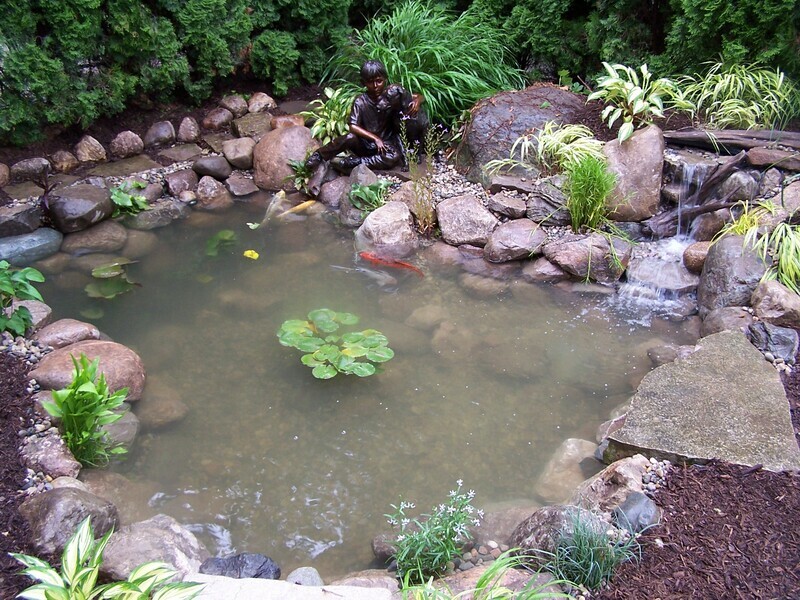 A fish/KOI pond or Water Garden as it is sometimes referred to is made up of many different parts and when those parts are assembled together correctly by a qualified Certified Aquascape Contractor, builder/installer like Pondering Waters , we form a beautiful and naturalistic work of art that changes personality with the time of day. 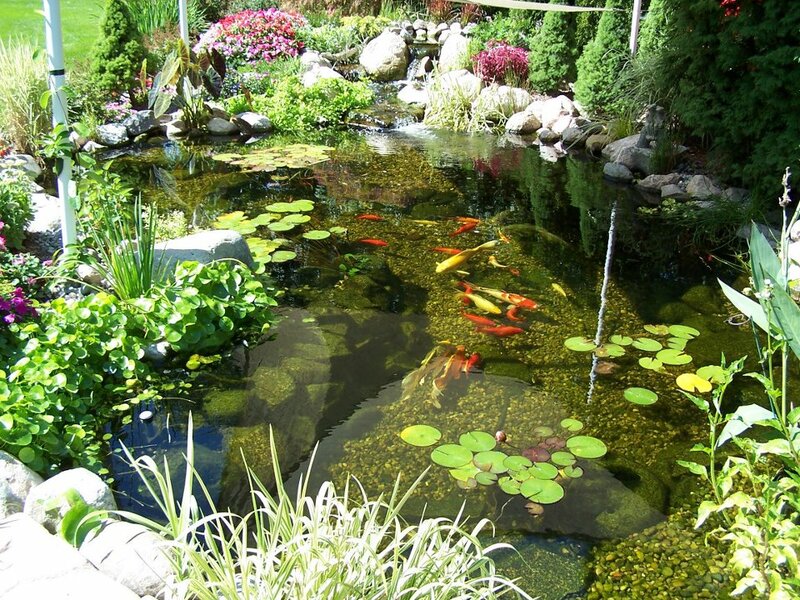 You should always consider what pond shape & form would best fit in with your house and your garden design. 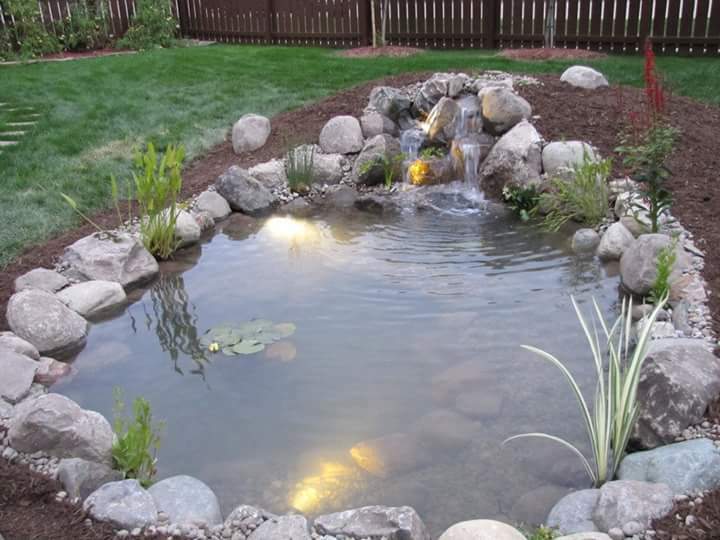 A stark pond, for example square, L-form, or fully round pond will properly fit in with a modern house and garden. 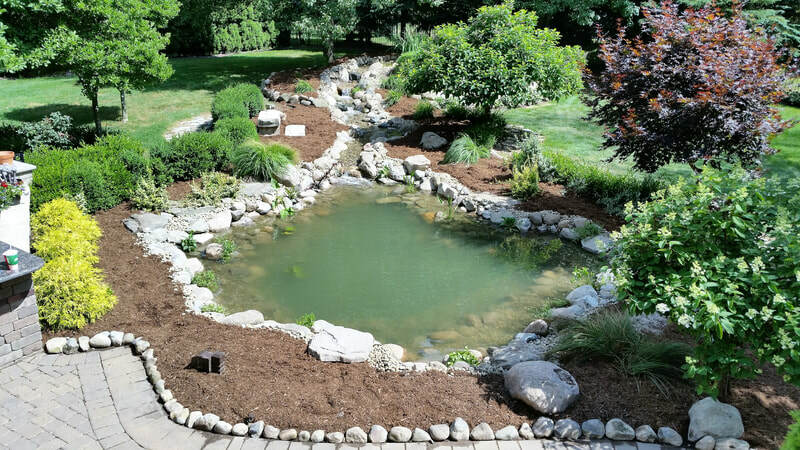 A naturally formed pond, for example, is kidney-shaped & fits in most all other spaces without issues. 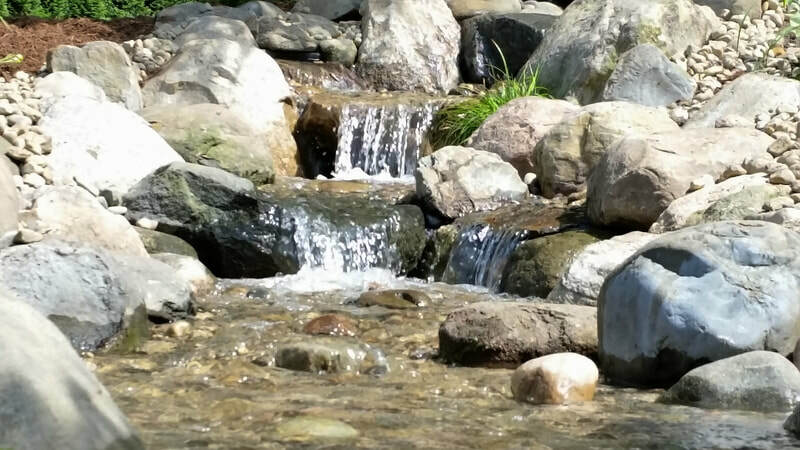 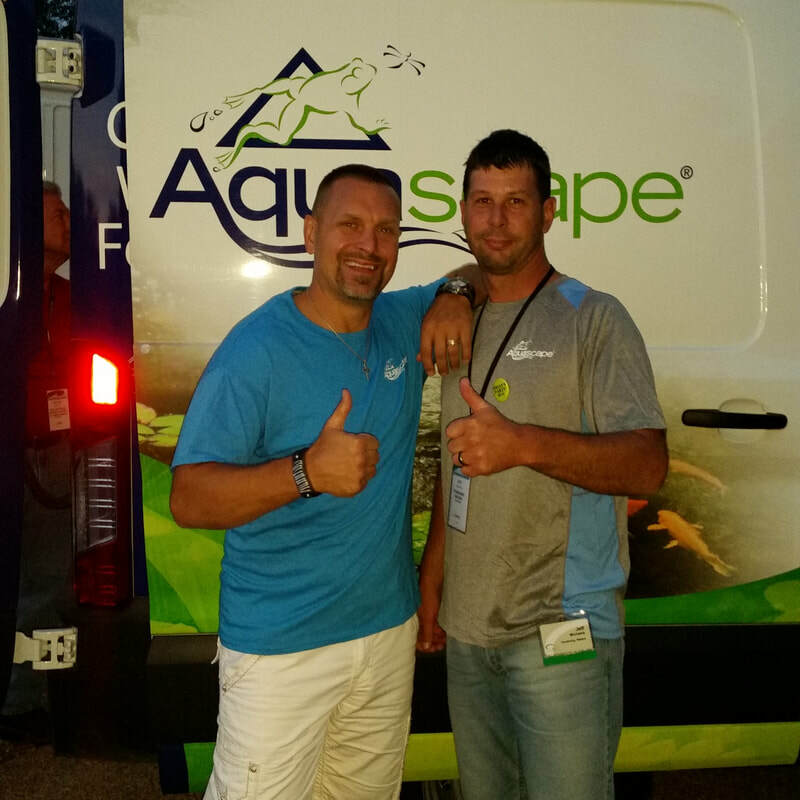 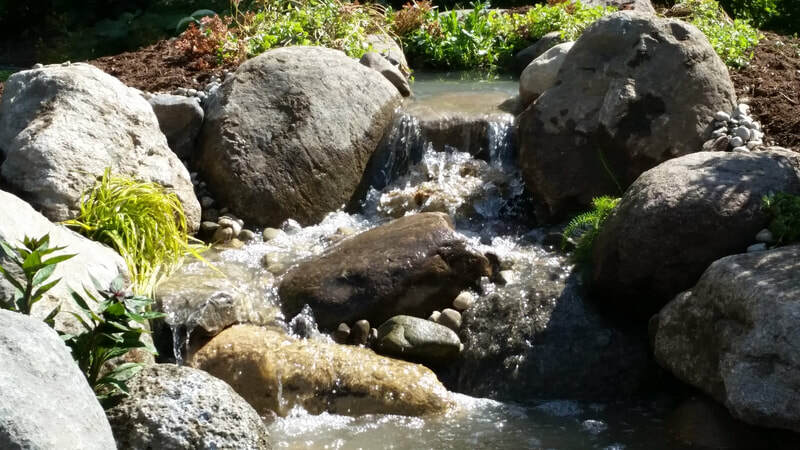 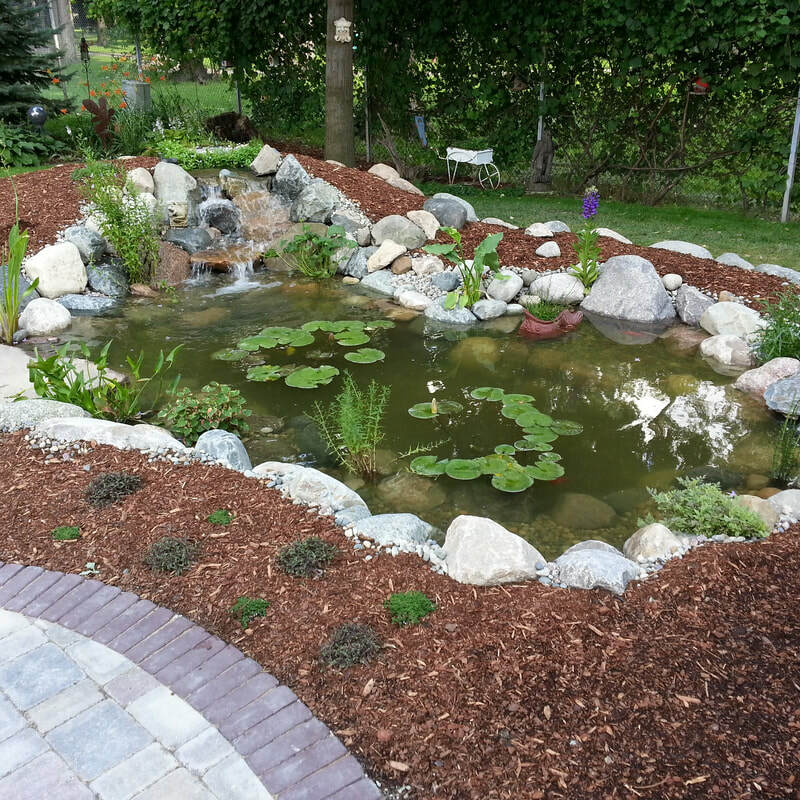 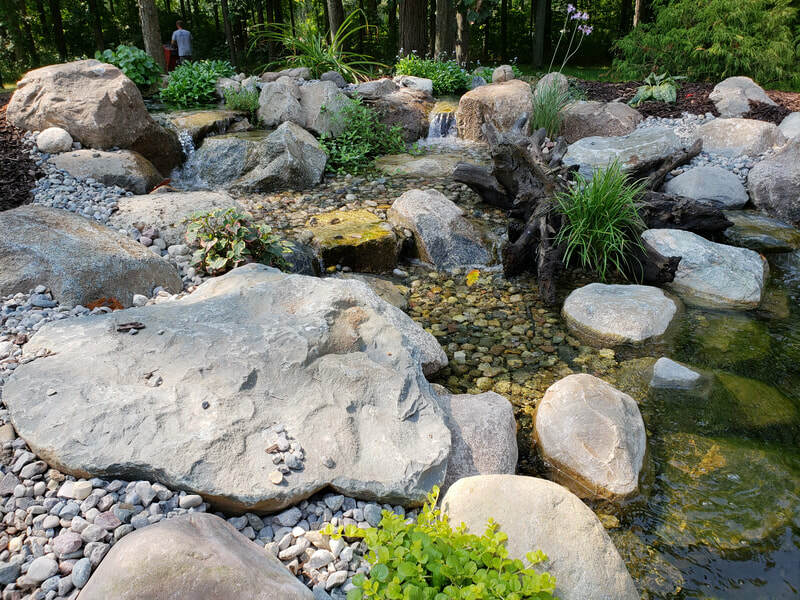 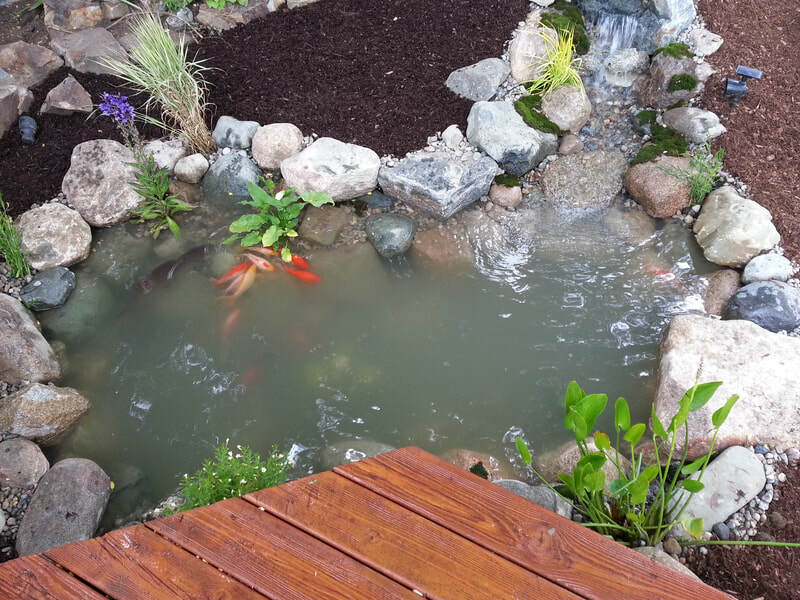 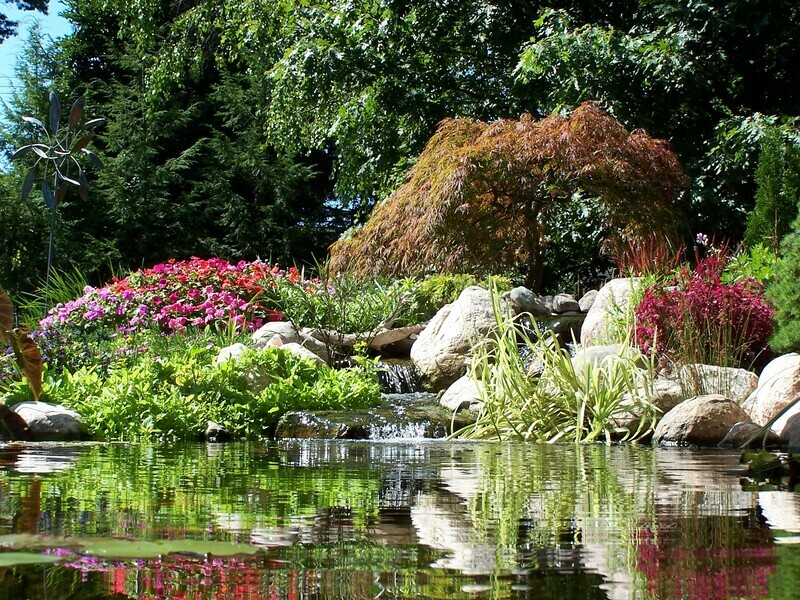 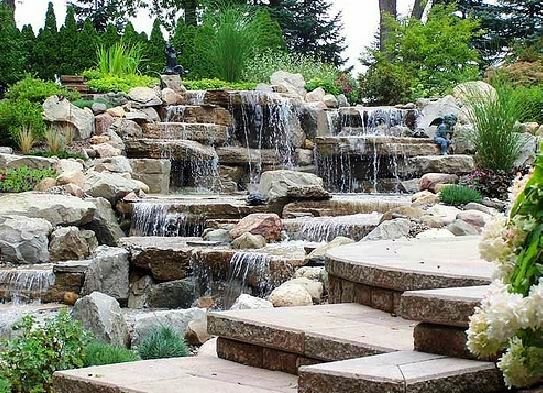 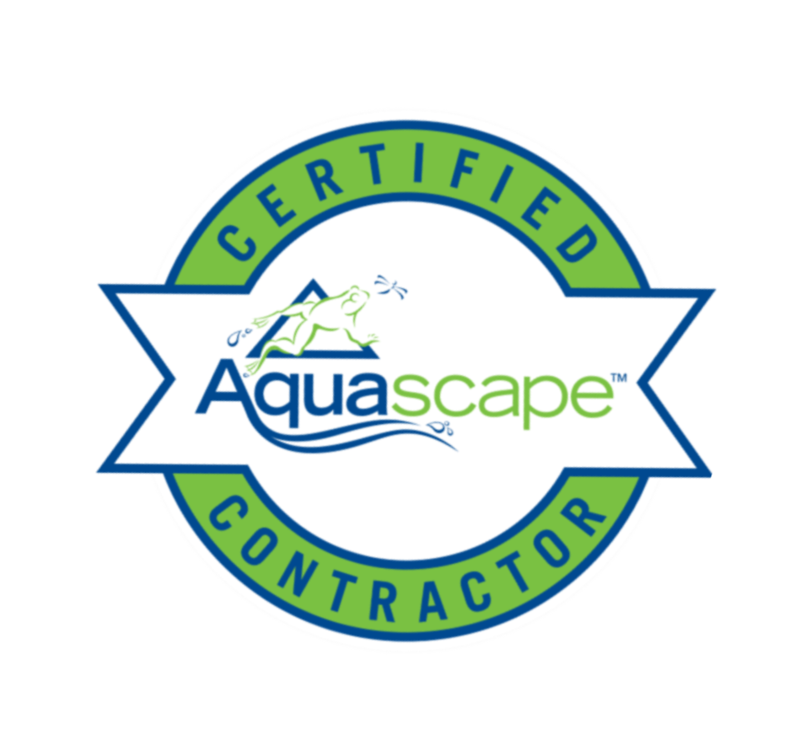 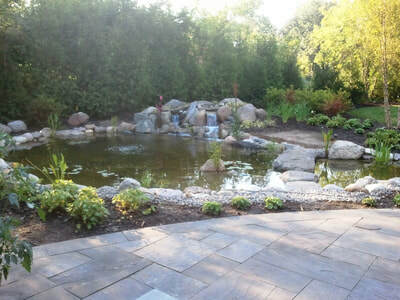 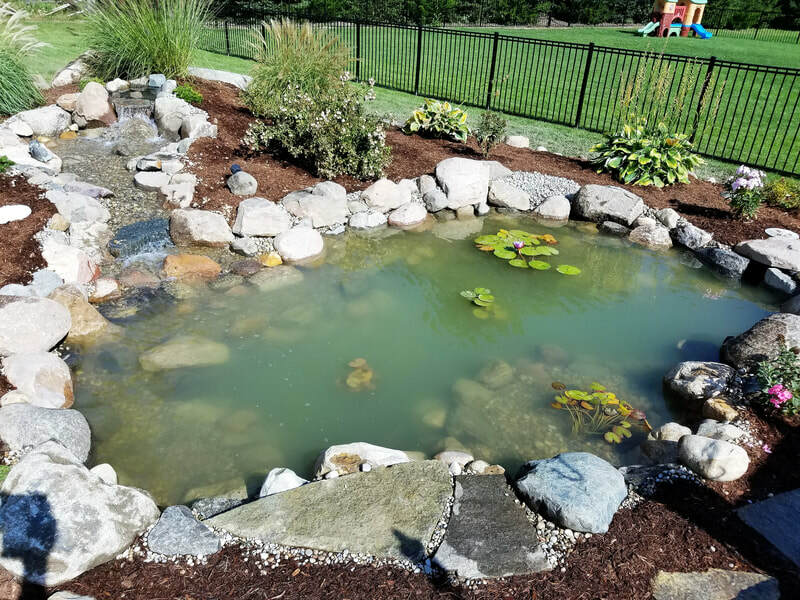 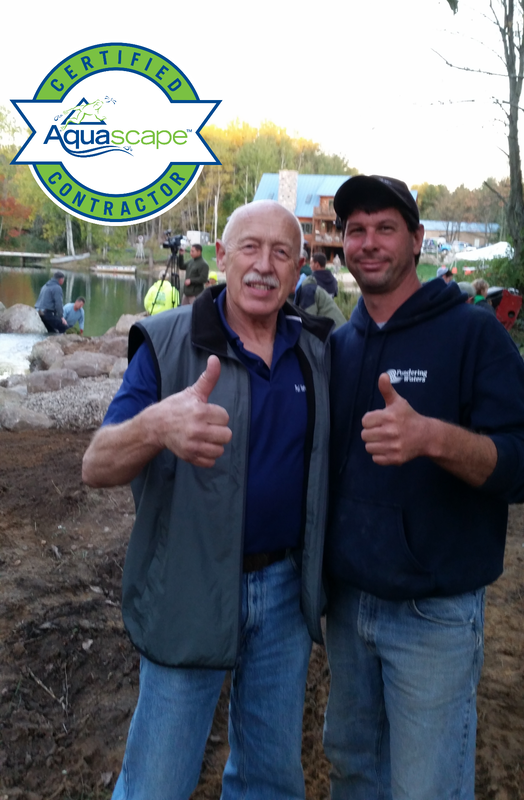 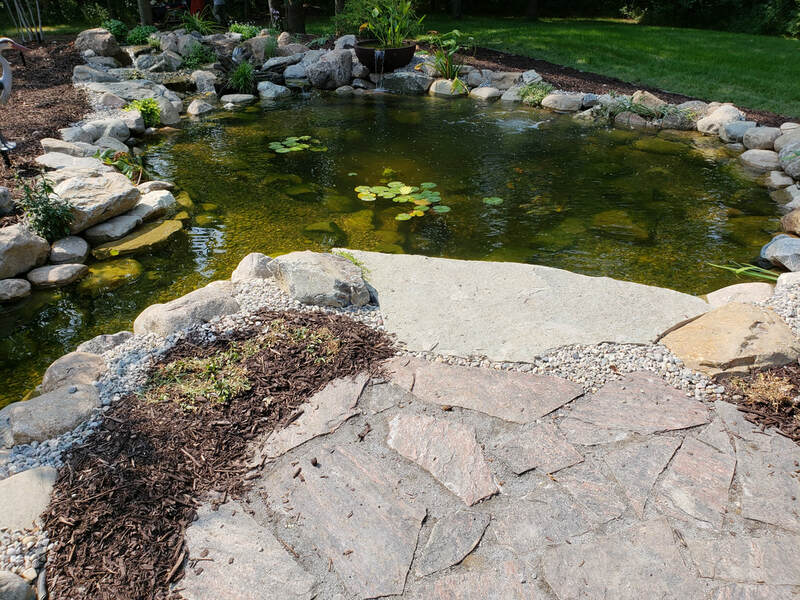 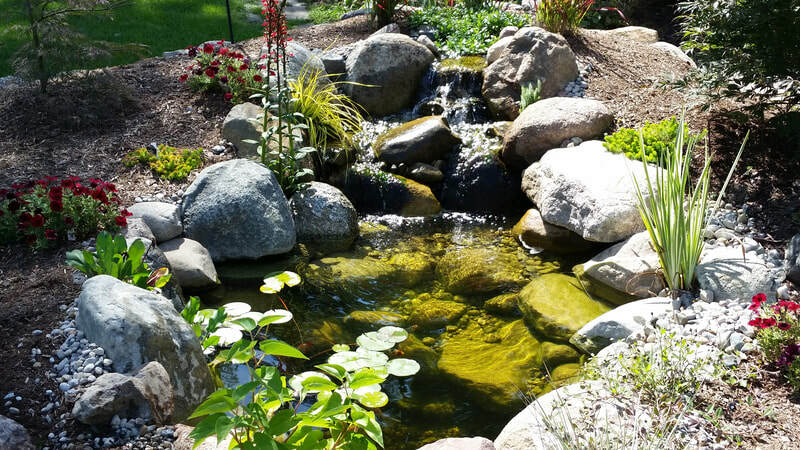 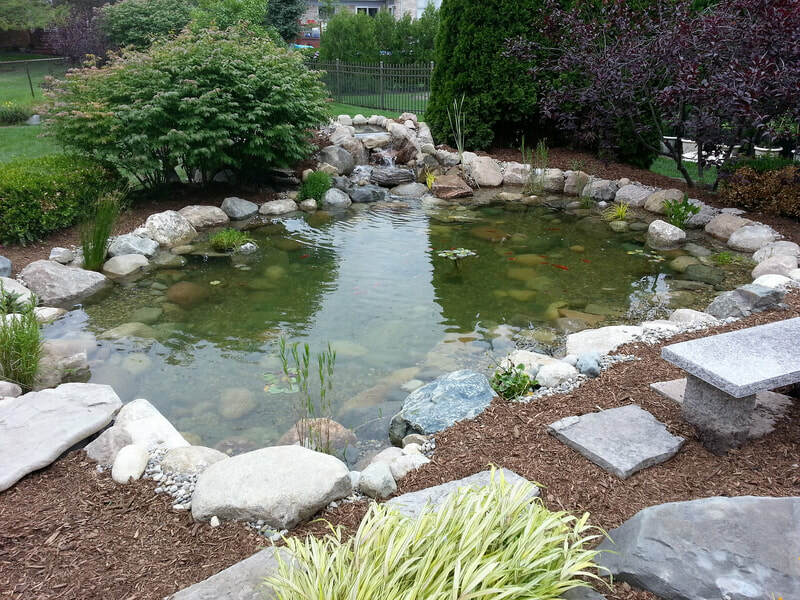 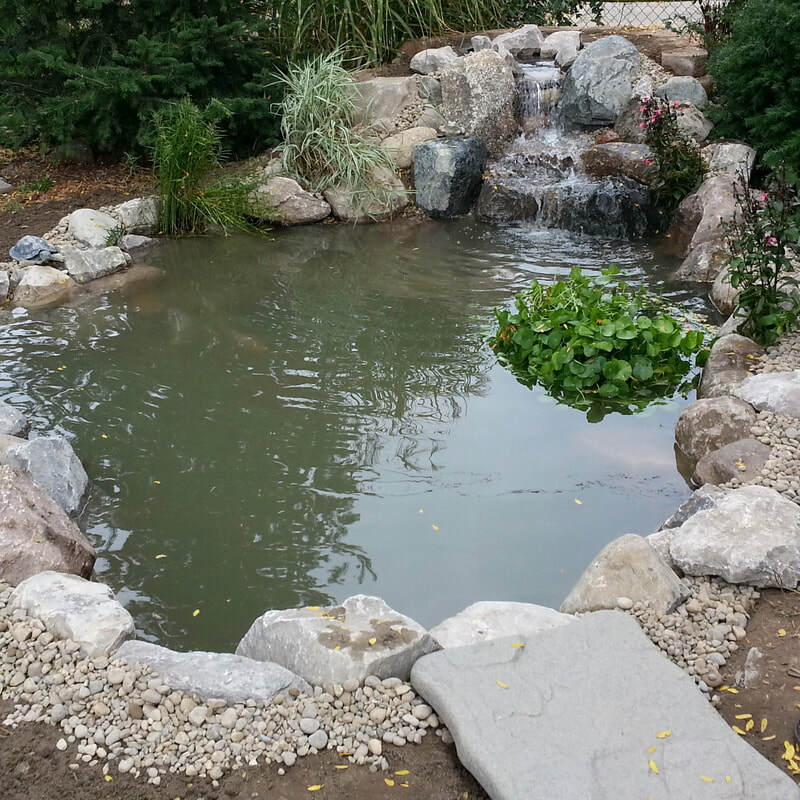 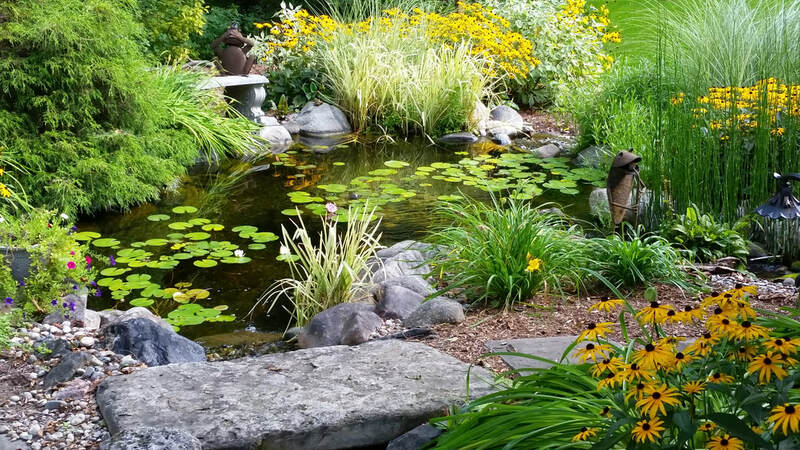 The natural style pond is our most popular install with most Oakland, Wayne, & Macomb County, MI area Homeowners.